Hype Casino will undoubtedly keep you on your toes. This new entrant is not like anything that you have seen before. If you are looking for a platform where you will enjoy a heightened experience, then Hyper Casino is the place that you should visit. Hyper Casino features a dark design with so much energy. The layout is no doubt a beauty to behold. Likewise, the features are quite interesting as well. Firstly, Hyper Casino is a new brand addition by L&L Europe. Well, for many players, that name may not sound familiar. However, if you have played Fun Casino; All British Casino; Yeti Casino; All Irish Casino and a few other names, these guys are the face behind the mask. Similarly, Hyper Casino is an upgrade that promises to offer a hyper-gaming experience to players. So, let’s take a look at the new additions. Just because you probably do not know them, it does not mean that they do not care about you. Certainly, Hyper Casino does promote an environment where players can enjoy every moment without any fear. Players from the UK are welcome to enjoy Hyper Casino. Thanks to their license from the Government of the UK. As well, Hyper Casino also possesses a grant from the Malta Gambling Authority. Hence, payers from several countries in the EU are welcome. So, with such regulations in place, there is no doubt that Hyper Casino is a place where fairness and transparency can be enjoyed by players. Furthermore, Hyper Casino also ensures that security is not a problem. Their website is secure using the latest encryption technology. At present, the security certificate is valid until May which is still a few months away. Hence, have no worries when you share any information. Hyper Casino offers a two-tier welcome package. Well, it is not about how many times that you receive the welcome bonus; it is about the worth of the entire package. So far, Hyper Casino offers a total of 150% bonus up to £300. Any new player that makes the first deposit of at least £10 would receive a 100% booster up to £100. So, for a deposit of £10, you will have £20 in your account to play your favourite hyper games. As you enjoy every moment, Hyper casino offers you more as you make your second deposit. This time, you will receive a 50% booster up to £200. So, if you decide to make another deposit of £10, you will get an extra £5. Therefore, you’ll have a total of £15 to play your favourite games. It’s a fair deal except that the wagering terms are quite absurd. Free spins is often a great way for new brands but Hyper have chosen not to go down that path. Each of these catalogues has an impressive number of games to choose from. In general, some of the popular games include Mega Moolah; Mega Fortune; Hall of Gods; Wolf Moon; Steam Tower; Book of Gods; Queen of Riches; Jack Hammer and many more. The FAQ section at Hyper Casino is quite comprehensive. A lot of questions have already been answered. However, the support team is always available anytime you feel you want to get in choice. Hyper Casino has a social media presence on Facebook; Twitter and Instagram. There are a live chat and players can also get in touch via email. Hyper Casino is no doubt a new entrant. However, they have so many cool features that should place them on the map as a top brand in no time. Their selection of games is quite huge. As well, the payment speed is quite commendable. However, they still have a lot of work to do regarding bonuses and loyalty programs. Keep coming back to ensure you are on top when a new online casino is launched. 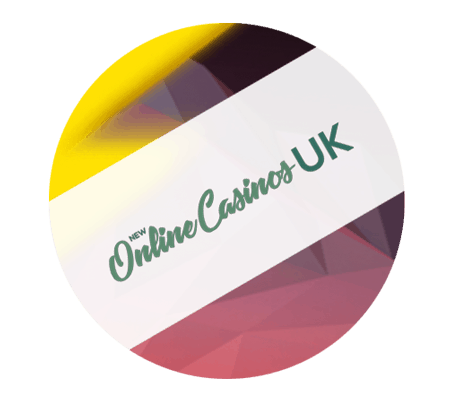 At New Online Casinos, we deliver all the necessary guidance in the vast jungle of casino in the United Kingdom. We guide you through all the latest casinos with the best bonuses and most fun gameplay! Welcome to explore our website and discover a whole new world of gambling joy! Gambling can be addictive, remember that! Always play for fun and never to win back money. If you experience any discomfort gambling please visit Be Gamble Awares UK website here. You need to be 18 years old to play at UK casinos. Depending on location, gambling regulations can vary. We only try to promote UK licensed operators that are secure and safe. However, we can not guarantee that licensed and regulations apply accordingly. Therefore, always double check with the casino that they are licensed by the UK Gambling Commission before you start to play! Curious and want to know more about specific casino topics? Use our easy-to-read guides on the most popular subjects.